"I try my best." He replied with a smile. "How 'bout you get checked in and we'll get you settled in your dorm." Renji set down the suitcase and gave a smile to the desk lady who caught his eye while shuffling through a stack of papers. She nodded, still smiling. This school was already very welcoming. 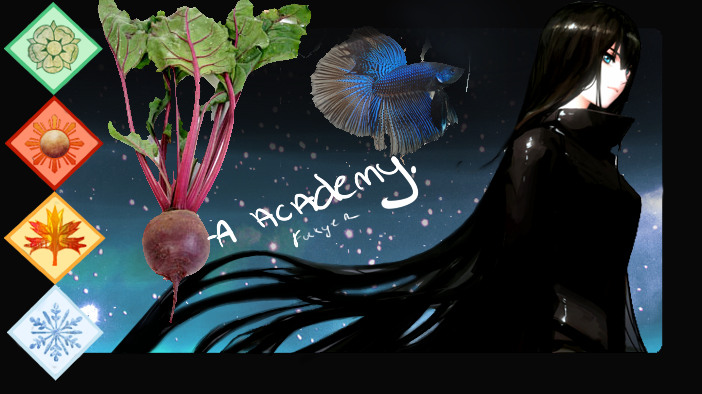 Yes, it seemed like she would have a pleasant stay at Beata Academy. Once Chloe was checked in, Renji picked up the bag and started towards the door that led to the initiate dorms. "Well, this is where we part ways. I need to head back to my dorm and finish a project that's due tomorrow." He said with a smile, setting down her luggage. "It was nice meeting you, I hope we can see each other again" With that, Renji left the office and was on his way to the Winter dorms. She was nice.